Wolf, Baldwin & Associates, P.C. is a general practice law firm in Pottstown, Pennsylvania which serves individual and corporate clients of all types. We represent people and companies locally and internationally. Each attorney in our law firm is licensed to practice in Pennsylvania State and Federal Courts, and is especially experienced in the Courts of Common Pleas of Montgomery County, Berks County, and Chester County, PA. Whichever lawyer you speak with, you can be confident that the resources of the whole firm will be at your service. 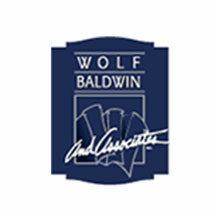 Wolf, Baldwin & Associates, P.C. is a firm with its roots firmly planted in its community. Our parents grew up here, we grew up here, and we continue to live here and serve our clients both in Montgomery, Berks, and Chester Counties, and across the world. By following the links to each attorney, you can get some feeling for who we are, how we are devoted to our community, and how we came to practice law. But there is no substitute for actually speaking with one of our attorneys about whatever legal issue is on your mind, so you can judge our dedication and expertise for yourself. As a general practice law firm, we have the broad legal knowledge to help our clients with most legal questions. In today's world of legal over-specialization, it's nice to know that the lawyer you consult about starting a business can answer your questions about workers' compensation, contract negotiations, and estate planning as well. Whether you live around the corner or across the globe, we can use our knowledge and experience to help resolve your legal issues. If for some reason we can't help you, we will often be able to refer you to a lawyer who can. No matter how much of our experience and training we can share with you in these pages, no website can give you the feeling of peace you should have when your legal matters are being handled by competent professionals. We take pride in the way our clients feel about us: that we are dedicated to their best interests, that we are always ready to work for them, and that we take the time to offer the personalized attention which their cases demand. Levi was my Lawyer for my Workers’ Compensation case for nearly 8 years. He was very attentive to my case and always promptly returned my emails and phone calls himself. Being injured at work and all the struggles and stress that come along with that can be very overwhelming. Having Levi as my Lawyer helped to alleviate some of that. Knowing that he was always available to talk me through things and take the time to make sure I completely understood everything, was invaluable to me. I am truly grateful for his guidance, his kindness and his willingness to go above and beyond to help me get through the process. If you need a Workers’ compensation lawyer, I would highly recommend Levi.